Your Manufacturing Leadership have a significant effect on the sustainability of all improvements made in your workplace. This is why Industry Forum have developed the following range of programmes designed to concentrate on the practical deployment of lean techniques within their own work area alongside the key interpersonal skills they need to lead a team effectively. The Team Leader Essentials programme is a unique hands-on approach to leadership training within a manufacturing operations environment. The course adopts a unique approach with a real world, ‘day in the life of’ experience that teaches both the technical and interpersonal skills in a simulated factory setting. 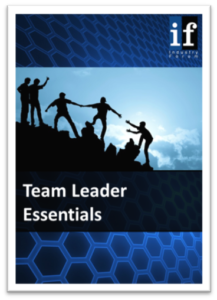 The Team Leader Essentials course is designed for Functional Heads, Managers, Team Leaders and Supervisors within a Manufacturing Operations environment. The training is intense and is suited to highly motivated individuals with ambitions to make an impact inside their organisation. See full details of our Team Leader Essentials programme on our training pages or enquire now for more information about how we can up-skill your manufacturing leaders.